Want to keep in the loop on the latest happenings at Chabad Mercer Island. Subscribe to our mailing list below. We'll send you information that is fresh, relevant, and important to you and our local community. The first and most comprehensive ask-the-rabbi site. Answered by people that care. For general or other inquiries, please click here. 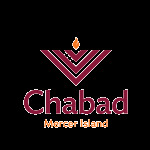 I would like to receive news and updates from Chabad Mercer Island by email. Is Tahini Kosher for Passover? Are French Fries Kosher for Passover? Are Nuts Kosher for Passover? Are Almonds Kosher for Passover? Is Whisky Kosher for Passover? Are Oats Kosher for Passover? Is Oatmeal Kosher for Passover? Are Tofu and Other Soy Products Kosher for Passover? Are Lentils Kosher for Passover? Is Rice Kosher for Passover? Is Corn Kosher for Passover? Is Popcorn Kosher for Passover?